Set in the heart of the Jersey countryside, yet minutes from Jersey's fabulous beaches, in Saint Ouen, Les Roches Spa, offers relaxing holiday breaks in the Channel Islands. Jersey lies in the balmy waters of the Gulf Stream, just 15 miles from France and only 30 minutes flying time from Gatwick. Les Roches is just ten minutes drive from Jersey Airport in the rural Parish of Saint Ouen. Country walks in sleepy leafy lanes lie literally on our doorstep, and an 18 hole golf course is a few minutes drive away. Enjoy cliff walks, explore sheltered bays or surf on Jersey?s famous Saint Ouen?s Bay.The Island offers stunning scenery, fine restaurants and every amenity for the discerning visitor. 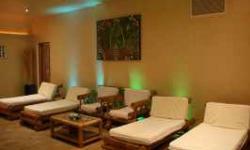 The luxury health Spa with indoor pool and 4 treatment rooms as well as an outdoor yoga pavilion. Your health and well-being is at the heart of Les Roches and their aim is to ensure every client always feels welcome and special. Les Roches Spa offer a wide range of holistic Therapies and beauty treatments for men and women and pride themselves in the exceptional quality of the products used and are specialists in Thalgo Face and Body treatments as well as Jessica Natural Nail Care. All treatments are client centred and can be tailored to meet your needs whether this is a personalised programme or single treatment. Packages are offered for individuals and groups, gift vouchers also make an ideal present. Les Roches also offers an exclusive membership and client reward programme. The complex is set in beautiful large and peaceful grounds that give the feeling of a retreat from the stresses and strains of everyday life. 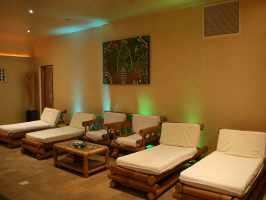 Take advantage of our relaxing, newly built luxury well-being retreat. Extensive beauty treatments are available as well as other Therapies such as Reflexology, Reiki, hydrotherm Massage and hot stone therapy. Treatments are available on a one off basis, or as part of a relaxing afternoon or day visit. 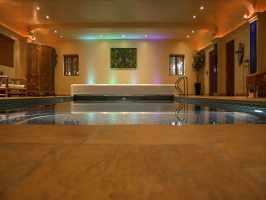 Or why not treat yourself to a week or weekend package? In our orchard we have a pavilion where couples can enjoy treatments, and where yoga classes are also held. Restricted swimming times are set and children under 4 must wear aqua nappies. Unfortunately we cannot offer treatments to children under 16 years of age.